Rent a holiday apartment in Spain for reasonably priced good quality accommodation with plenty of facilities. Many of the apartments available to rent in Spain are in purpose built holiday blocks set around a swimming pool and have a solarium on the roof where people can sunbathe without being overlooked. The advantage of being an independent traveller and renting self catering apartments in Spain from apartment owners is that you will not be bothered by reps who try to persuade you to go on trips or have to socialise with other holidaymakers if you do not feel like it. You will have a kitchen and full facilities for cooking should you wish to. Let's face it, breakfast is an easy meal to prepare, you will probably want to be out all day anyway making use of the beach or sightseeing and we all like to go out to eat in the evening. 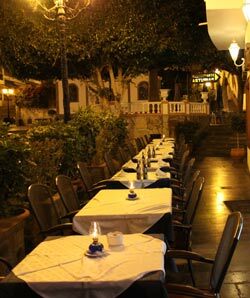 As an independent traveller, you can eat at a different restaurant each night should you wish, or if you want to keep spending to a minimum, buy food from the local markets and shops and eat in. Regional dishes vary on the menu in Spain, paella is often present and there is plenty of Spanish wine, Sangria and beers to accompany meals. Most modern apartments are equipped with a washing machine, fridge/freezer and everything that makes living easy so that daily chores are quickly completed. Package tours so not always describe the accommodation in detail, with a private holiday let you can ask as many questions as you like before booking to get exactly what you want. If you play golf, you may want to rent an apartment set at the edge of a golf course in Spain. The prospwct of hours of golf in a sunny location remains attractive to golfers of any age. Spain and the Canary Islands are a popular winter escape for retired people. Many rent apartments for several weeks at a time and the deman for long lets is good. Because these are long lets, the cost of renting an apartment is discounted from the normal weekly rate. Do please contact us if you have apartments available for long lets as winter escapes, also if you would like to rent such an apartment. 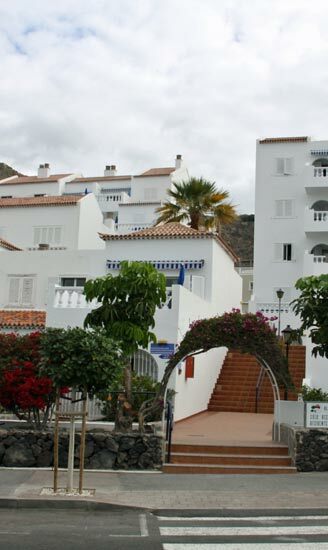 Send details of the number of bedrooms, location in Spain or the Canary islands by email.